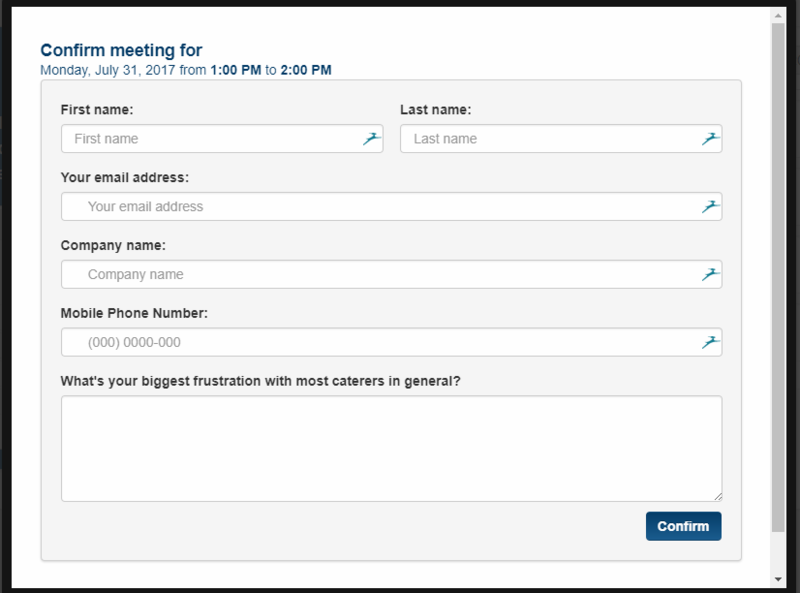 This article will go over how a prospect/customer can use your Book-A-Meeting Link and how the employee is notified that a meeting has been booked. If you are using this in combination with your Sales Tempo, please be sure to partner with Jillian Davis to secure a vanity domain as well as update your 3 Step Post Cards with this new link. Once Jillian has completed the above steps for you, you are now ready to use your link. 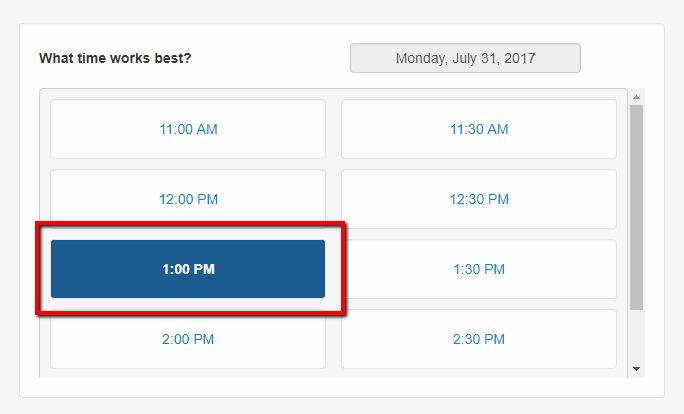 1 - When the prospect/ customer clicks on your link they will see your schedule. 3 - Next to the right of the page the times that you have open will appear. 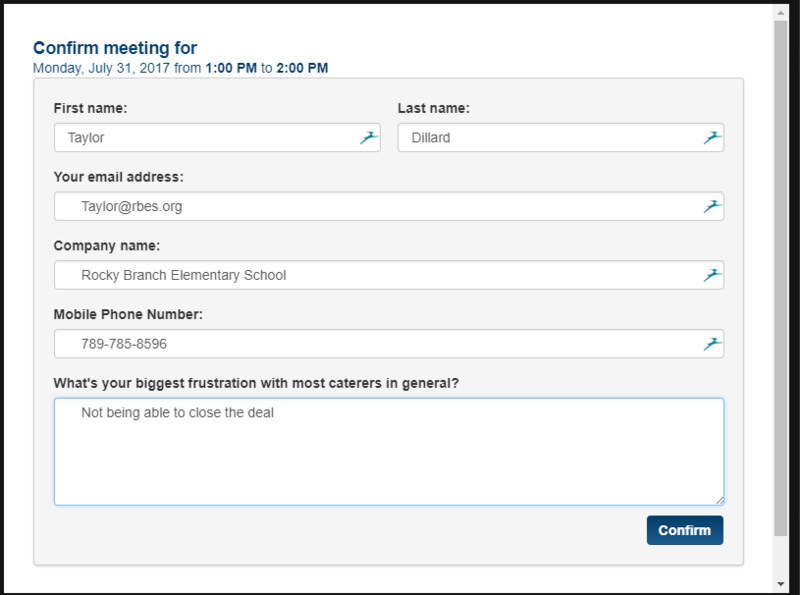 The prospect/ customer can then select the Time they want for the meeting. 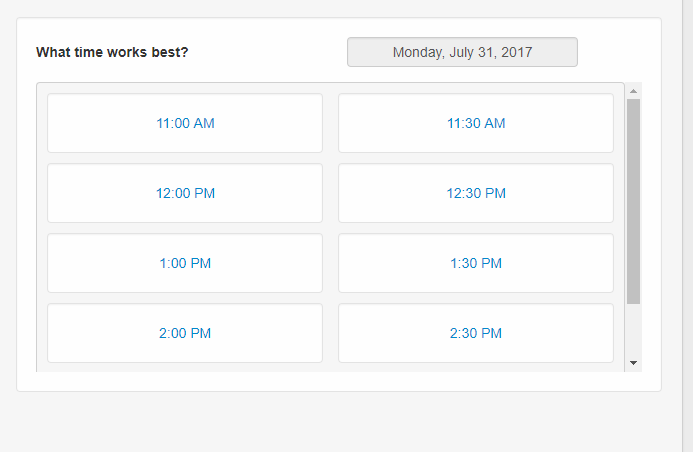 When you click on a specific time the time will highlight in Blue. Note the times are for 30 minute intervals. 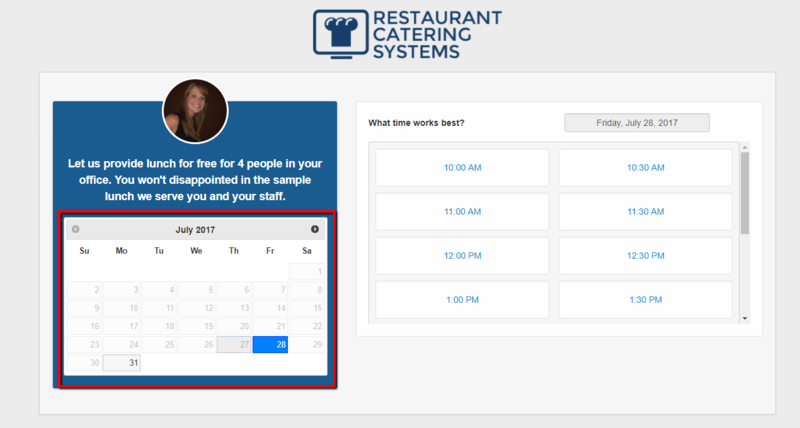 4 - A pop up box will appear where the prospect/ customer will need to Input their information. Once the prospect/ customer is done they will click on the Confirm tab. 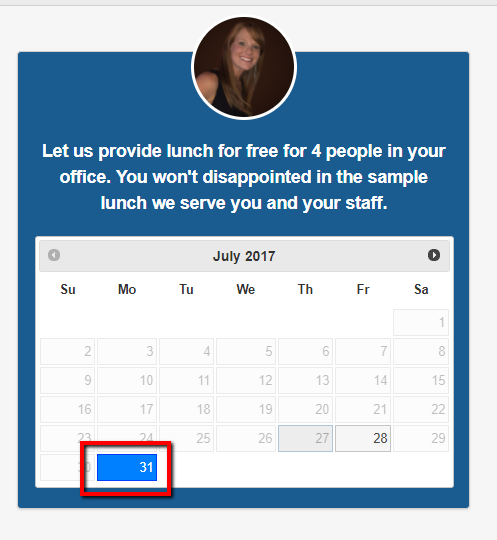 5 - Once confirmed a Pop Up box will appear with the day and time selected letting the client know it has been confirmed. 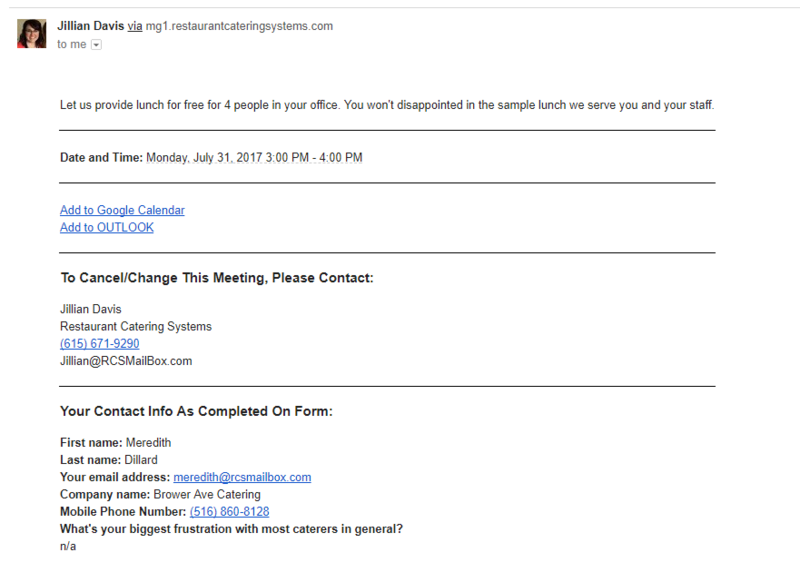 6 - The Employee will receive an Email with the booking information. 7 - The prospect/ customer will receive an Email with the booking information. 8 - Your Calendar in Google will also show your booking if you have connected your Google Calendar to CaterZen (see google calendar article on how to do this). 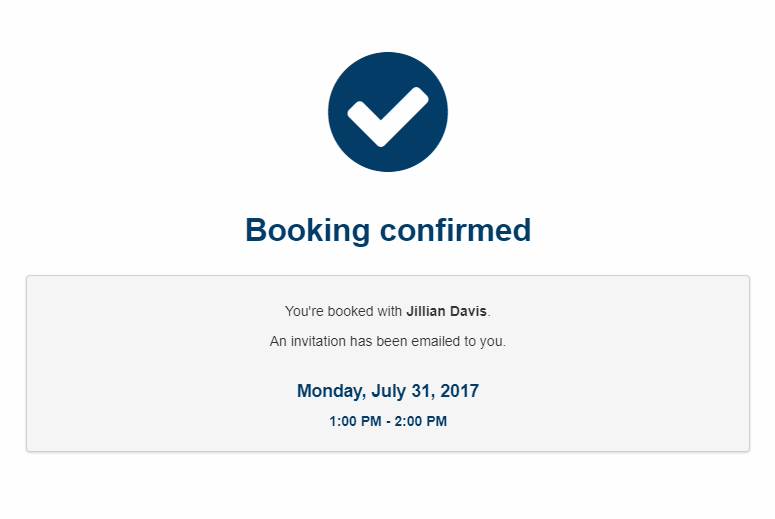 You have now learned how the prospect/ customer will book a meeting and how you will be notified that a meeting has been booked.